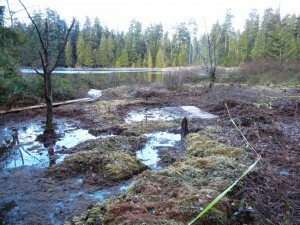 There are three peatlands in Beaver Lake. Restoration on one of them began last year. Here are a few pictures. 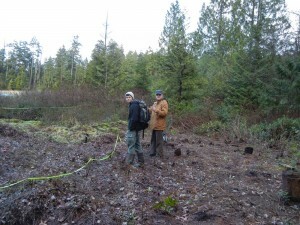 Dr. Gary Bradfield, Mario Cotton (Biol 321 student), and I visited the site February, 2012. 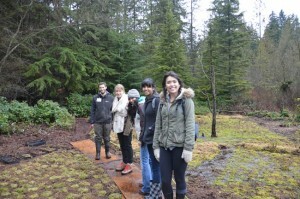 Mario did a vegetation survey as his class project. 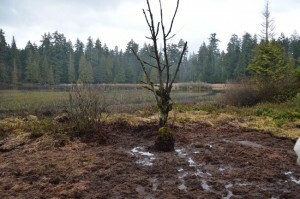 The following are pictures taken February 22, 2013. 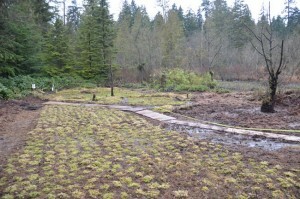 Brian Titaro (Stanley Park Ecological Society) gave a few of us a tour of the restoration site.